Uranium Backup is one of the simplest and most versatile TAPE backup software in the world, compatible practically with any tape drive and with the most used kinds of tape formats: DAT, DDS, DLT, SDLT, AIT, VXA, LTO, etc.. Uranium can make also backups to DVD or CD (CD-R, CD-RW, DVD-R, DVD-RW, DVD-RAM, DVD+R, DVD+RW, DVD+R Double Layer). It can also create multisession disks and iso files. 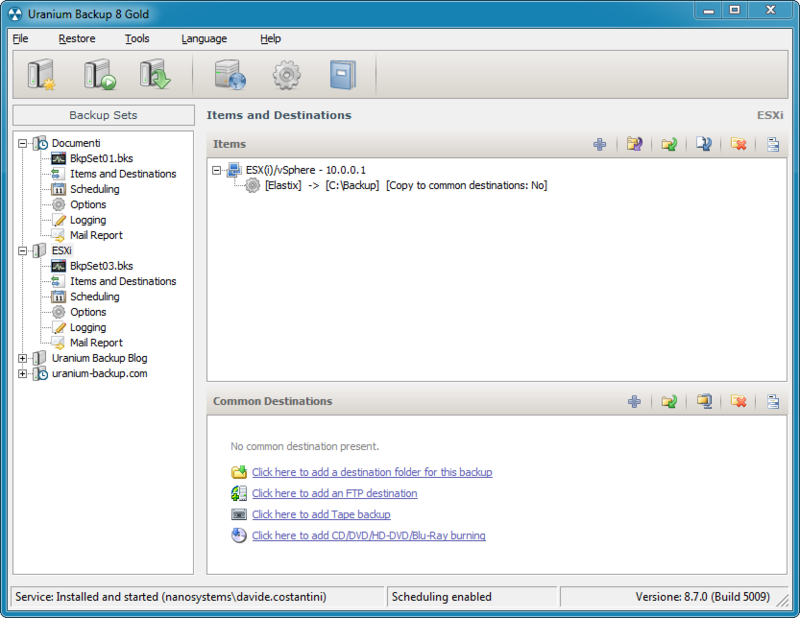 The free version includes the Scheduler, logs, and e-mails options. The 'free' version doesn't have all the touted features, e.g. MS-SQL backup.